The Centro Simón Bolívar of Caracas is one of the most interesting, most important ─and paradoxically─ least known examples of Social and Civic Infrastructure of Latin American modernity. Hardly any building in the world plays the dual complex role of being both a unique building and the center of a capital city. Think it for a moment: Which modern project has been performing for more than half a century as a city center? If we make the question: What building is a tower, is a square, a bus station, a business center, a mall, a road distributor, a pedestrian connector, an urban linker and simultaneously the symbol of a city? The answer is: only Caracas´ Centro Simón Bolívar (1949-1955), by French urban planner Maurice Rotival and Venezuelan architect Cipriano J. Domínguez,who once said: "Something new and enormous in its consequences is coming, A new world emerges…"
Compared to its immediate American precedent ─and inspiration- the also multifunctional Rockefeller Center in New York City (1933), we see that while the Centro Simón Bolívar becomes the focus of all city views in the metropolitan area and it´s impossible to escape perceiving its monumental presence at the end of the Avenida Bolívar, the Rockefeller Center, with its different buildings standing in a traditional manner in their lots according to the city´s grid between 6th and 5th avenues (1, 10, 30, 50 Rockefeller Plaza or those on the Avenue of the Americas), is only noticed when it is approached. 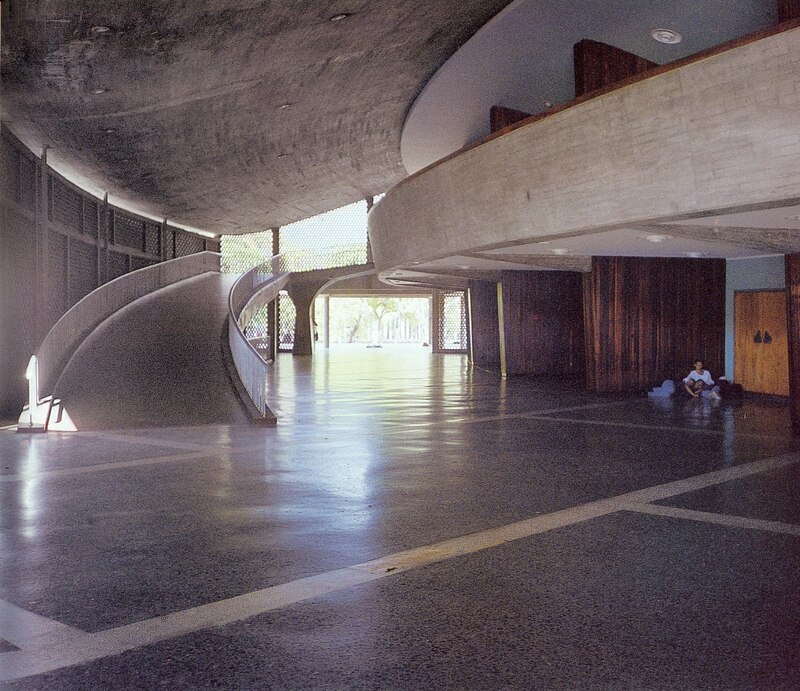 On the other hand, its subsequent American example, the 1956-60 Brasilia's modern city center, the Praça dos Três Poderes, beautiful and monumental as it is, compared to the imbricate tissue that the Centro Simón Bolívar fabricated to interact with the traditional historic city, remains as a contemplative monumental and sculptural esplanade, single-out from the rest of the city. Therefore the importance of revisiting the Centro Simón Bolívar, a major work of Venezuelan Social and Civic Infrastructure in Latin America. A town center is the place of all citizens' activity, where the city contemplates itself and both its history and its image are portrayed, the crossroads of all its social and civic life. Due to this protagonist role, it was pioneering to conceive an infrastructure project that would function successfully and also fit formally in the existing urban fabric: the Colonial grid. In 1939, the Plaza Bolívar was still functioning as the center of the city, when new master urban plan was developed: the Plan Rotival. Then, the square was dumped for being too small for the growth envisioned. And a new urban center was proposed. The Plan Regulador consisted basically in the invention of a new of a heart for the city. It was basically composed by a monumental avenue with several urban episodes along a single axis, that would drastically cut across the traditional grid. The first idea of the Plan was for creating a new monumental Civic Center, which ended up being the actual housing complex of El Silencio by Villanueva, around the Plaza O´Leary, the actual Avenida Bolívar´s first phase to the west, and secondly the idea of the Centro Simón Bolívar´s project, likewise the plan´s second phase. The heroic decision of building a new heart for the city (unsuccessfully intended at El Silencio (Carlos Raúl Villanueva, 1942), "rolled about" the central axis of the new monumental Avenida Bolívar to finally anchor two blocks to the east. According to this plan, a modern general redistribution street project ─resembling an efficient electric circuit─ was embedded in the grid. Rooted in the heart of Caracas, among the tight cuadras of the Colonial Historic Center, the Centro Simón Bolívar had to land in the middle of one line of blocks in order to fabricate and enhance the monumental east-west urban axis of the new avenue. It is, after the completion of El Silencio´s neighborhood, the most important example of an architectural project following to the letter a wise, thorough and secure Urban Design Master Plan (the Plan Rotival, 1939) in all of Venezuela´s history. The new project´s urban aspirations: its monumentality, its duality (the 30 stories-high towers, the split urban spaces, the twin lower bodies), and the long parable described to soften from west to east the great leap taken from the domestic scale of El Silencio´s perimetral blocks to the never-seen-before-in-the-city heights of the two steel structure skyscrapers, were all pre-existing ideas to the architectural project. The second grand epic of this seven-year-long story is how the architect who received the commission, Cipriano J. Domínguez, transformed the Plan Rotival´s established guidelines into an urban architectural project that valiantly wielded all the dreams of the modernity of his time… and also his own personal dreams. The city of Caracas entered the Twentieth-century pretty much as a forgotten city, for long time abandoned by the national government. As late as the 1930s it remained almost untouched, with its old colonial grid and a few scattered Nineteenth-century urban interventions, due to a long dictatorship that since 1908 practically moved its administration to the neighboring city of Maracay. In 1936, at the end of that period, a Direction of Urbanism was created, because "Caracas cannot longer postpone its vital need of being urbanized according to a vast program that can solve efficiently the regular functioning of the public services for the population and that can foresee its future as a great modern city". This office started to work in the Plan Regulador for Caracas, which was officially unveiled in 1939, and was intended to fill the planning gap with the city´s increased population growth and urban development. For the conception of the plan, the government hired a company of noted French urbanists, Prost, Lambert, Rotival & Wegnestein, that would work with the local architectural experts, among them, architect Domínguez and also the Venezuelan modern master Carlos Raúl Villanueva. Of all three French experts, it was the visionary Maurice E. H. Rotival, a "Ponts et Chausées" engineer and an expert in Urbanism "with a chilling sense of smell" -as recalled one of his colleagues in the Direction of Urbanism-, the responsible in taking the leadership in the discussions of the general parti and guidelines of the Urban Design Master Plan for the new Avenida Bolívar -then called The Main Avenue-. 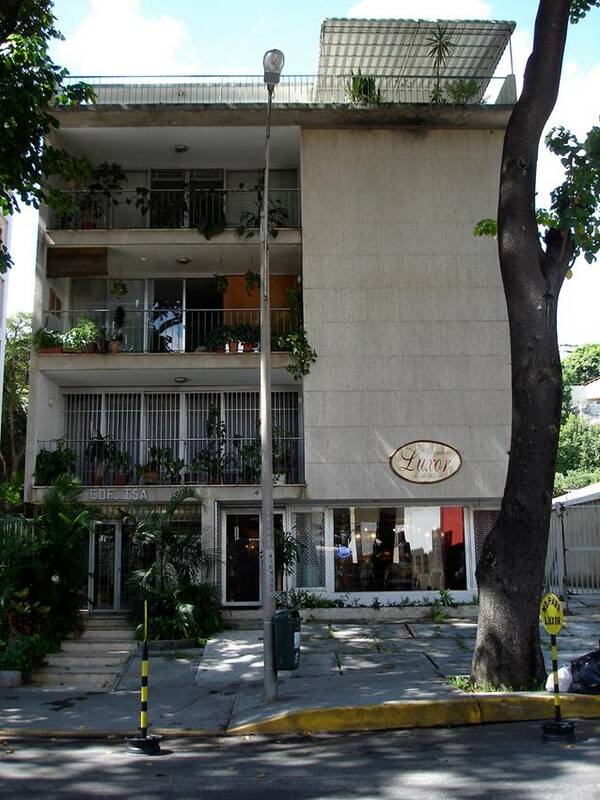 The project tried to incorporate in Twentieth-century Caracas the Nineteenth-century urbanism it never had. 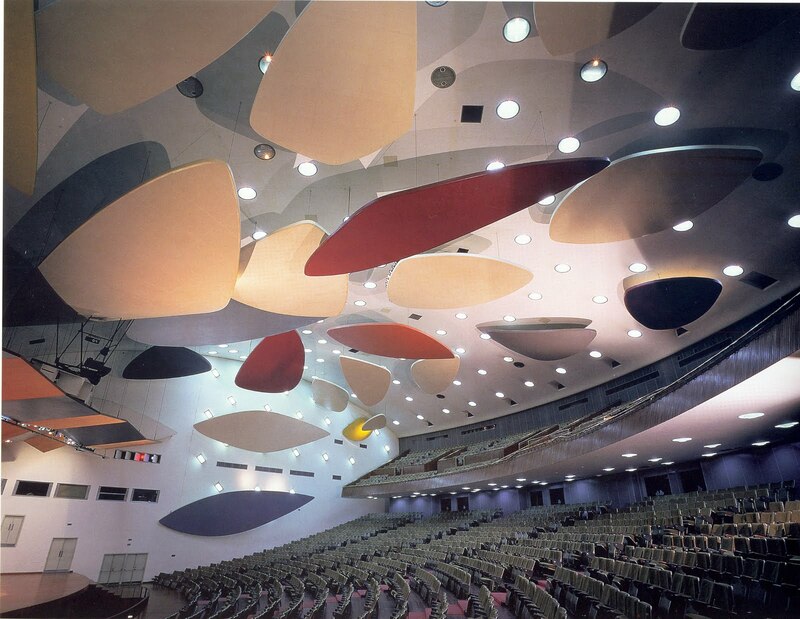 It was Rotival who envisioned "a wider approach of the Caracas situation at the time, trying to understand which role the project was to play in the city". The vision was very plastic, with a great, formal, Beauxartian approach to the city, the Main Avenue resembling a Caribbean Champs Elysées, aligned with palm trees and porticoes. The plan was to solve "the traffic problem by the creation of avenues capable of absorbing the great vehicles mass", create a "central avenue that, through its proportions and its buildings facades, would give the city a monumental character", and "build monumental plazas, paseos and parks where public movement could be organized during great festivities". New governmental buildings like a new Capitol, a new Town Hall, Ministries, markets, schools and a Memorial for Simon Bolivar on top of the hill of El Calvario (the axis´s west end) were also a major feature in the plan. In 1945, the works in El Silencio where about to conclude, and the decision was taken to continue the avenue three more blocks to the east. At the beginning of 1946, the Governor of Caracas created the Managing Commission of the Avenida Bolívar, and Maurice Rotival was called again to return to the country to join it. This time he decided along with the Managing Commission to take a leap forward and modernize the concept of the avenue´s design, introducing subterranean passages and underground parking areas, street intersections in two levels, a complete traffic distributor scheme, underground retail, and pedestrian walkways and a monumental five-level plaza equipped with a central bus station, with the aim that the whole complex would become one day "a great urban forum". This change of mind in Rotival was known as the "Foro Bolívar". The idea in itself was that, with the North-South streets running under the avenue buildings, it could be possible to loosen and free all the traffic of the center of the city. Of course, the proposal at the beginning was blamed as utopian, but it was finally approved by the Governor on the first day of January, 1947. Like El Silencio, the Centro Simón Bolívar became a major urban renovation. Dozens of antique blocks were expropriated and tored down to achieve its completion… a gigantic urbanistic operation. The avenue was to have eight car lanes and two main built sections: first, three double set of blocks to the west of a lower scale relating to that of the blocks of El Silencio, that were called to become the main commercial center of the city and which would gradually increase in height, and secondly, the higher-scaled buildings´ blocks, that were originally residential, and became finally the office building towers. Rotival was a man of ambitious urban thinking. 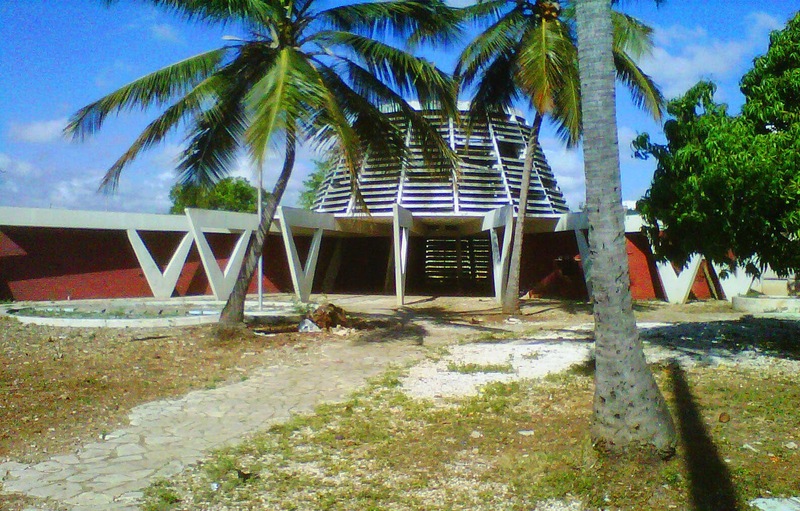 After his vision came the urban design plan, and right from there, the architectural project of the Centro Simón Bolívar. 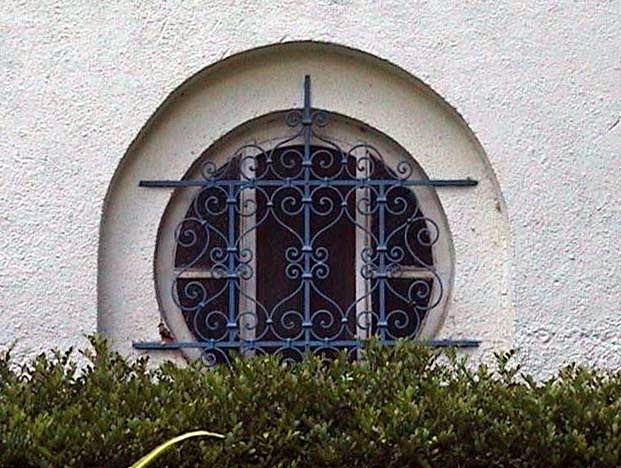 "He wanted to make a symbol for the city, and he achieved it", said architect Gustavo Ferrero Tamayo, a member of the Managing Commission of the Avenida Bolívar, "Maurice knew it from the beginning while he was doing his drawings, and passed them to Cipriano Domínguez saying: ´This is the symbol for Caracas". Cipriano Domínguez was then commissioned to orchestrate the architectural project. When asked at the time if he felt he was capable of undertaking such an ambitious commission, he is said to have answered: "Well, I don´t know… Maybe yes!" Now he and his team were to respond to a newly created institution, the Compañía Anónima Obras de la Avenida Bolívar C.A., who was to manage the works… but also they were to deal with the wills and caprices of the head of the State at the time, ´General Marcos Pérez Jiménez, the undeniable conducting force behind the Centro Simón Bolívar. All done in the personal architectural tropical modern language favorite of Dominguez, who is usually related to ´Lucio Costa´s Ministry of Education and Health (1937-43). 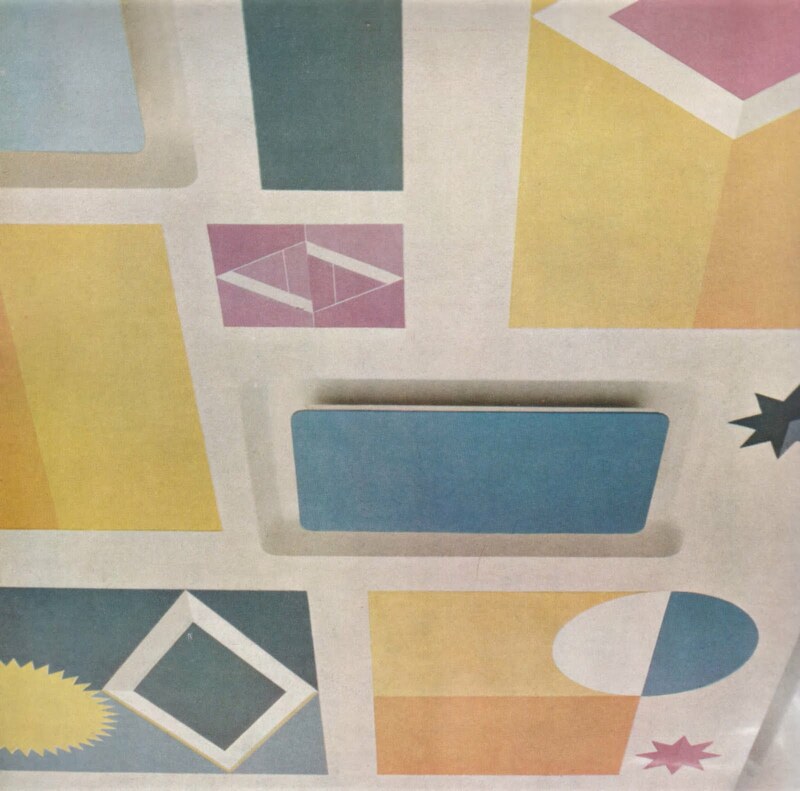 Cipriano Dominguez, a graduate from Paris´ Ecole Speciale de´Architecture and a francophile, was himself a great admiror of Le Corbusier, often quoting him and remembering what he wrote in Vers une Architecture: "I am architect and an urban planner: I do plans. My temper inclines me to the pleasures of discovery. Mouvement, development, the very joy of living are my passion… I do the plans of a contemporary city". Construction started on October, 1948. Domínguez made "with art and with dignity" all the studies to convert the Urban Design Master Plan into modern architecture. There was not an opportunity to do a Preliminary Project: it all went right from the Master Plan to the project and then to its actual construction, fast track. It is impossible to deny that political pride was on stake. Pérez Jiménez wanted a representative building to gain prestige, and he wanted it fast. He was, also, obsessed with height, raising arbitrarily the towers to 30 floors in a visit to the architect´s atelier, so they could reach the one thousand meters height bound. The result was the legendary set of 1,000 pencil-drawings, depicting every detail of the 400,000 square meter development, completely finished after one decade of intense works, in 1958. 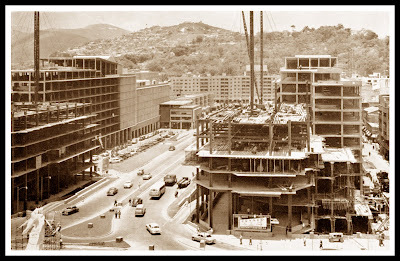 Three parking basements, a central 80-bus station, a major underground four-channel passage that links the avenue with El Silencio, plus three underground north-south streets and, finally, two long blocks, the Bloque Norte and the Bloque Sur, topped with the monumental twin towers -very often called at the time the "Caracas Rockefeller Center"-, completed the complex. The Centro Simón Bolívar, was a success in every sense, from its original concept to even its use and abuse, sixty years later. 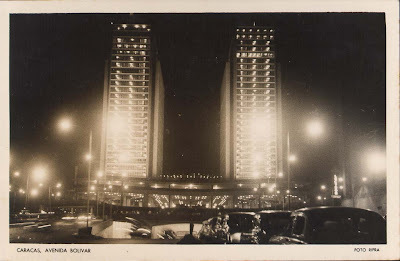 It became the image of Caracas and the formal symbol of the city´s modernity, and it still is, although the city has grown four times since its construction. A bronze plaque in the building commemorates the date when Caracas arrived to one million people, matching the Centro Simón Bolívar´s opening. 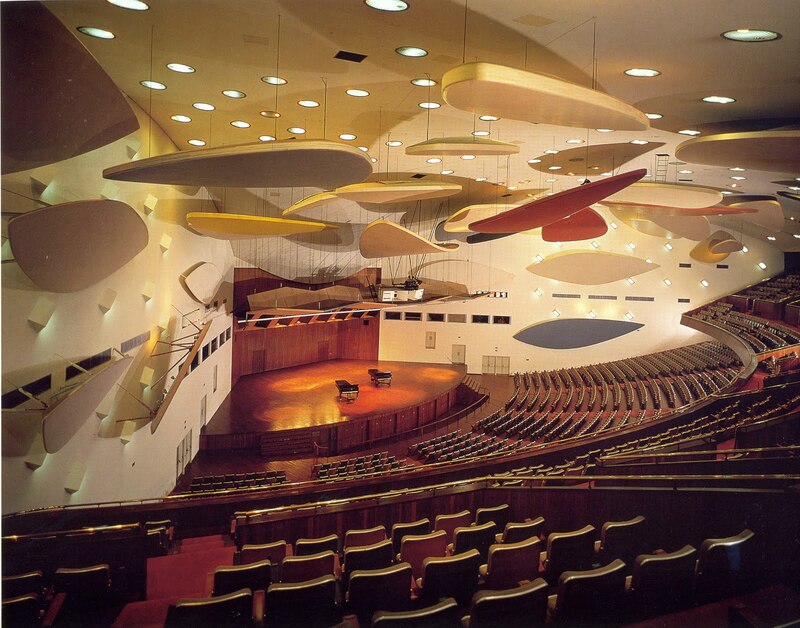 The CSB has since become the most emblematic building in Caracas. It is a modern multifunctional body, a work of civic and social infrastructure, an architectural icon that wields all the dreams of the modern architecture of its time ─especially those of Le Corbusier─, with ample free plans, pilotis, ramps, brise-soleils, garden terraces. A tropical modern architecture that in the academic manner aligns symmetrically its volumes and large open spaces along the Avenida Bolívar´s axis. However, the once radiant "Torres de El Silencio", after many years of lack of maintenance and survey, coupled with the intensive office use, is in a deplorable state. 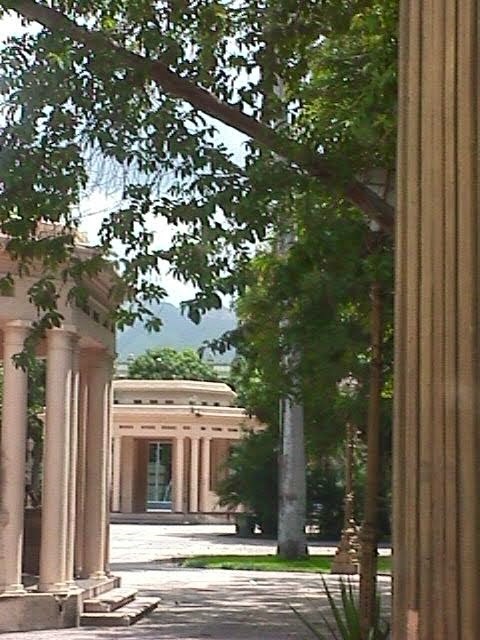 Now that Caracas has arrived to four million and a half people, the Centro Simón Bolívar is facing a new threat: it will soon undergo a major restoration that already threatens to be very controversial… Nobody can guarantee that it will be done respectfully, according to its original project. As Graziano Gasparini wrote in Listening to the Monumentː “There is an issue that should be stated very clear, as once said Solá-Morales: “each building has its own capacity to express itself. Intervention issues in historic architecture are neither abstract problems nor problems that can be formulated once and for all, but instead problems that are raised as concrete problems over concrete structures. 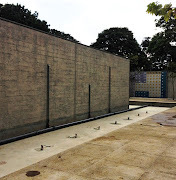 Maybe for this, letting the building talk is still today the first responsible and lucid atittude when confronting a restoration problem…”. There are many concrete cases that demonstrate how superfluous some rules and statements are: cases in which the work talks alone with no chance of misunderstandings. An intervention done with the same criterion of the restoration of a fine art painting, that is to say, only the matter of the work of art is the subject of the restoration. And where no one dares to alter, in the least, the conceptual and the architectural idea that the architect materialized in his building. Our claim is that this major Mid-century Latin American Social and Civic Infrastructure deserves a sound and scientific restoration project that will return its architecture to its once brilliant reality, fostering its late entrance and fair recognition in the history of modern architecture. 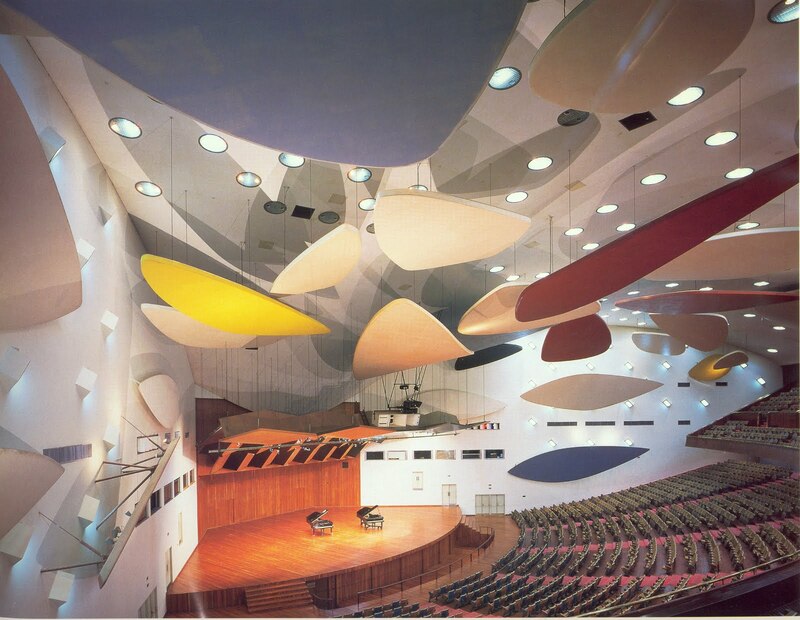 Lecture given by the Venezuelan Working Party at the 11th International Docomomo Conference, "Living in the Urban Modernity". Ciudad de México, August 26th, 2010.